A primary motivation for taking any English test or English exam should be to identify a real English proficiency level of students or employees, things they need to improve and progress they have made. However, there are some specific cases where test administrators want to prevent any opportunity for students to use not allowed resources. It is achieved by using the exam proctors during the English test. It can be administered by the school or company or directly online by TrackTest. What are the proctored exams? A proctored exam means that the English test is supervised by the authorised person. Such exam supervisor (or exam proctor / exam proctors) ensure that test takers use only allowed resources during the test. 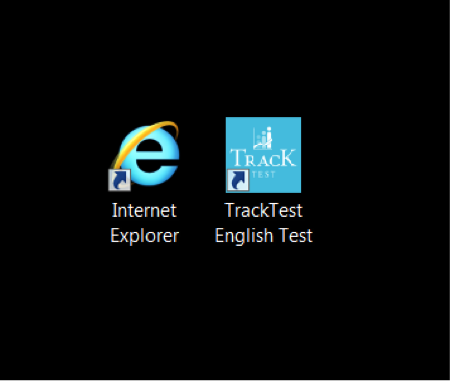 TrackTest English Assessment Centre is a flexible online solution for testing the English language proficiency skills in schools and companies. By default, there are some features in the test, which prevent cheating during the test. Each test is generated from the extensive bank of questions so students get different questions every time. The answers are not public, nor available for download on the illegal sites. This optional feature reduces the room for speculative activities. TrackTest website launched in the Kiosk Mode takes up the entire computer screen and doesn’t show the title bar and the address bar at the very top with the min, max and close buttons. There is no way to minimize the IE window unless you close it completely. In the kiosk mode, students can’t even close the window normally, but either has to use a keyboard shortcut or bring up the taskbar using the Windows key on the keyboard. Note: Similar solutions exist also for Chrome and Firefox browsers. Contact your TrackTest representative for more information. Place the desktop shortcut provided by your TrackTest support representative or create your own link using this tutorial. 1. Right-click anywhere on the desktop and choose New – Shortcut. If you use the custom domain, please replace the default registration URL with your custom URL. 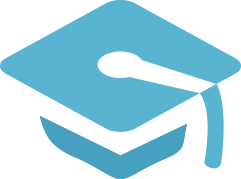 We will send you the TrackTest application icon. Right-click on the shortcut that you want to customize and choose Properties. Go to the Shortcut tab and click the Change Icon button. Browse to the downloaded .ico file and click OK. Using this method for Kiosk mode, students could still access other programs, settings, explorer, etc. by pressing the Windows key on the keyboard. Therefore, we recommend the exam proctors to limit the students access to the keyboard after they create their account. If you are running Windows 8.1, there is another way to enable kiosk mode so that it is the only application the students are allowed to run. The students cannot go to the Start screen and can’t close the application at all. They cannot access the Charms bar or anything else. This special mode in Windows 8 is called Assigned Access and can be used with a modern version of Internet Explorer. As a result, students will see the application loads instantly and there is absolutely nothing else they can access on the system. In order to log off the restricted account, they need to press the Windows key five times. Safe Exam Browser is arguably the best solution for the web browser-environment to carry out online exams safely. It is a free open source web browser changing any computer into a secure workstation. After the installation, Safe Exam Browser regulates the access to any utilities like system functions, other websites and applications and prevents unauthorized resources being used during the exam. Advantages: It provides a better control compared to the kiosk solutions mentioned above. Students need to know the administrator password to leave the exam environment. Disadvantages: Special software that needs to be installed on all computers. The TrackTest Speaking test is currently not supported with this solution. In the selected countries, TrackTest English Assessment supports also the full-scale online proctored exam with the verified identity. In this case, the proctoring is provided completely by our organisation. Before the test, test-taker needs to submit the government-issued identity document (ID) and take the photo using the computer webcam or smartphone camera. The test is monitored to ensure that the designated person took the test without the help of the others and then verified by human proctors. This service is extra charged.